The Center for Judicial Excellence proudly offers membership opportunities to interested allies who are committed to creating a fair and accountable judiciary. Members are encouraged to attend hearings, meetings, rallies and events, and to support CJE’s legislative agenda. Memberships are good for one year. We are grateful for the support of our members, but please understand that no one is authorized to speak on behalf of CJE as a member. 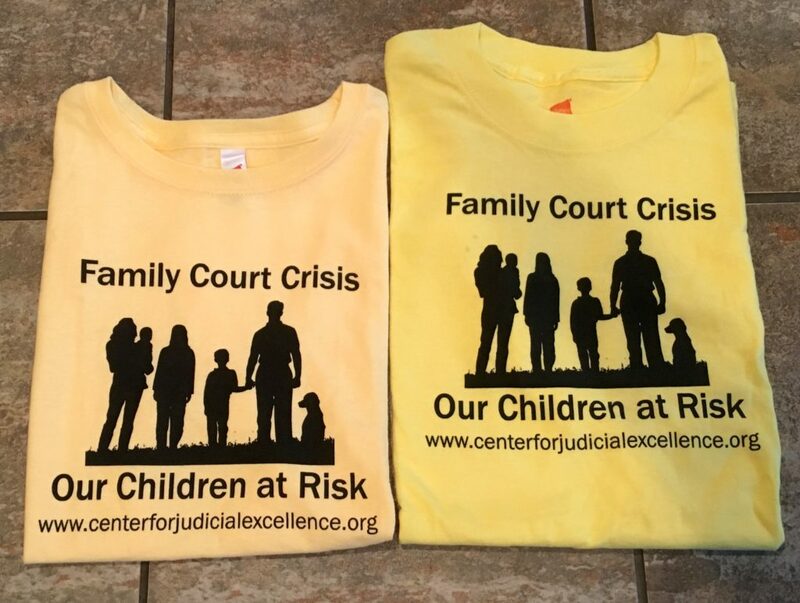 The Center for Judicial Excellence (CJE) is a 501c3 nonprofit organization that relies solely on financial support from private individuals to fund our advocacy for judicial excellence in the face of widespread judicial corruption across the United States. While we prefer that interested supporters consider signing up as Sustaining Members for as little as $10 per month (see below), we certainly welcome one-time financial donations of $30 and up to support our work through a Regular Membership, which is good for one year. All Regular Members will receive a renewal letter just once per year requesting your continued support of our work. Signing up online is quick, easy, and secure. If you would prefer to print the membership form, Click Here. You can mail the completed form with membership fee via check to Center for Judicial Excellence – P.O. Box 150793 – San Rafael, CA – 94915 OR email the completed form with payment information to info@centerforjudicialexcellence.org. CJE has launched a sustaining membership program to help encourage more consistent support for our work throughout the year. This program enables you to make a once monthly donation that automatically deducts from your checking account or credit card on the day you specify. In these challenging economic times, it is more important than ever for CJE to have consistent support. Even $10 a month makes an enormous difference and helps build our capacity! To show our appreciation, monthly sustaining members will receive the full complement of thank you gifts for our standard membership program. This includes a DVD of our award-winning 42-minute Family Court Crisis documentary, our Photo Book, a CJE T-Shirt and a Stop Court Crimes T-Shirt & Bumper Sticker. If you would prefer to print the sustaining membership form, Click here. You can mail the completed form to Center for Judicial Excellence – P.O. Box 150793 – San Rafael, CA – 94915 OR email the completed form with payment information to info@centerforjudicialexcellence.org. Please see below for more information regarding membership levels and gifts! If you have any questions and/or would like assistance signing up, please contact us via email. 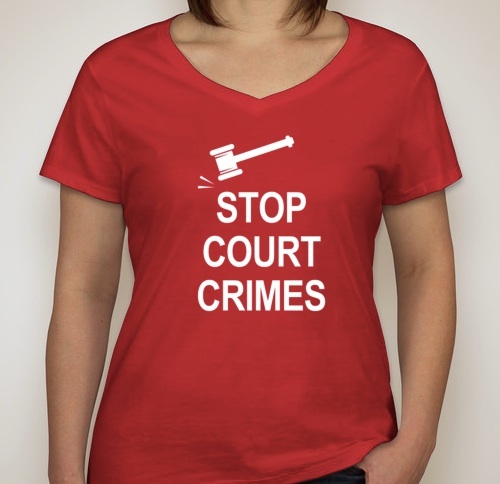 Sign up as an Activist: $30 – We’ll send you a Red Stop Court Crimes T-Shirt and Bumper Sticker. 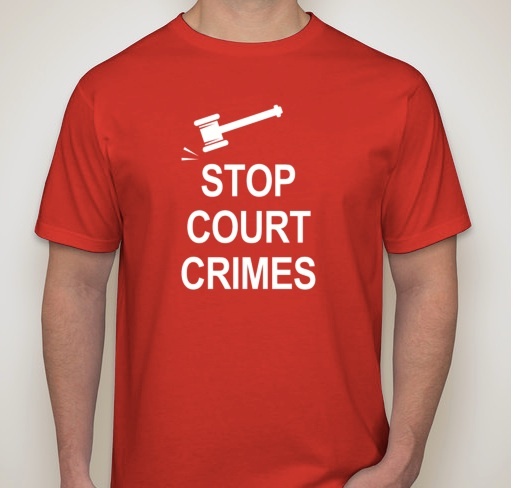 Sign up as an Ally: $60 – We’ll send you a Photo Book and a Stop Court Crimes T-Shirt and Bumper Sticker. 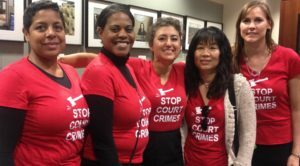 Sign up as an Advocate: $100 – We’ll send you a Photo Book, a Yellow CJE T-Shirt, and a Stop Court Crimes T-Shirt and Bumper Sticker. Sign up as a Champion: $250 – We’ll send you a Photo Book, a 42-minute DVD, a Yellow CJE T-Shirt and a Stop Court Crimes T-Shirt and Bumper Sticker. Other Ways You Can Support CJE! We are encouraging our supporters to please consider taking a minute to add the Gumdrop Button to your browser. Gumdrop by Goodshop is a free and easy way to help us every time you shop online and it requires almost nothing — a click of a button — and then every time you visit an online store, a percentage of what you spend is donated back to CJE! Never miss out on a deal or donation again. When you’re shopping online, Gumdrop will automatically find the best coupons for you. You’ll get deals and alerts right in your browser, so you can save money & give back at the same time! Think Amazon Smile… for thousands of stores… with higher donations — that’s Gumdrop!! Get it now! Choose Center for Judicial Excellence as your AmazonSmile Charity! AmazonSmile is a simple and automatic way for you to support CJE every time you shop, at no cost to you. When you shop at smile.amazon.com, you’ll get the same shopping experience as Amazon.com, with the added bonus that the AmazonSmile Foundation will donate 0.5% of the purchase price to your favorite charitable organization. Eligible products are marked “Eligible for AmazonSmile donation” on their product detail pages. *Donations are only made when shopping at smile.amazon.com rather than amazon.com. The easiest way to go directly to AmazonSmile is to add it to your bookmarks or download the AmazonSmile 1Button to your browser! For more information, Click Here.